If your carpet looks ratty, worn-out and loses its bright colours, you may need a little assistance. Our company specializes in the carpet cleaning field all across SW9 Stockwell. We will be really happy and grateful if you decide to turn to our company. And this is what you should do because cleaning is what we are best at. Not only will we deep clean your carpets but we will give them a new fresh look. We do love it when our clientèle appreciate us. We have hundreds of regular customer from Stockwell and we never fail to suit their requirements, no matter how demanding they might appear to be. Honestly, we hope that you will be our next customer. 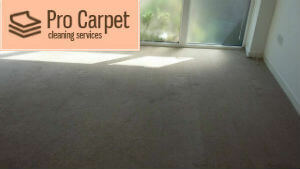 We promise to provide you with brilliant carpet cleaning service. You will be more than amazed at the outcome. Let us show you how professionals do the work. We will be waiting for your call! We have many years of experience in this cleaning field and since day one, our missions has always been to provide our customers with the desired levels of cleanliness, no matter what it would cost us. We have learnt every method and every trick how to clean carpets in a way that other companies in Stockwell cannot. We will provide you with an amazing carpet cleaning service and you will fall in love with the result. We will bring your carpets and rugs to their former glory. If your property or office is located anywhere in Stockwell, do not think twice to get in touch with us. We also operate in other South West areas like Clapham, Battersea or Balham. ﻿We are so proud that so many customers place their trust in us. We are available for one-time cleaning sessions as well as for a regular maintenance. However, leading manufactures advise that carpets should be professionally cleaned at least twice a year. This is why we recommend you to turn to our company at your earliest convenience and we will visit you at the appointed time. We will deep clean your carpets for a couple of hours, leaving your pieces free of any bacteria or allergens. We are worth trusting! Our company’s name is a synonym for trustworthiness. You can always rely on us and we can prove it to you. We have always been loyal to our clients and we always treat them with respect. Customer satisfaction is our main priority and we try to achieve it on a full percentage. This is why we are hard workers, we do the cleaning sessions quickly and spotlessly. We will not leave any stain on your carpet! We make use of non-toxic products only, so we will no damage your carpet. Your family’s health is also safe! Also, we are available from Monday to Sunday at any hour on the clock. We will fully comply with your free time and needs. Our cleaning services are flexible and customisable. The price of our carpet cleaning is affordable to any budget. If you like what we are offering, and we know that you do, give us a call, use our website or email us. We cover the area of SW9 Stockwell, so make sure to contact us soon.